Calypso is a monotypic genus of terrestrial orchids containing 1 species, Calypso bulbosa, which has a circumboreal distribution in North America, northern Europe, Russia, and Asia. In North America, Calypso bulbosa is found from Alaska to Newfoundland, in the northern and central United States, and south to California and New Mexico. A northern-most occurrence of Calypso in North America includes specimens at Grayling Fork of the Black River, 7 km NNE of Steamboat Mountain, Alaska. Distribution concentrate mostly through central / eastern Alaska, British Columbia, Washington, Oregon, and Western Montana. 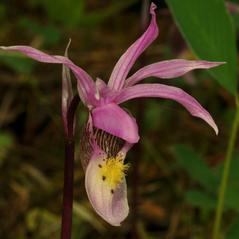 Calypso orchids are susceptible to disturbance, and therefore have been classified as threatened or endangered in some portions of the range, including some US states, Finland, and Sweden. 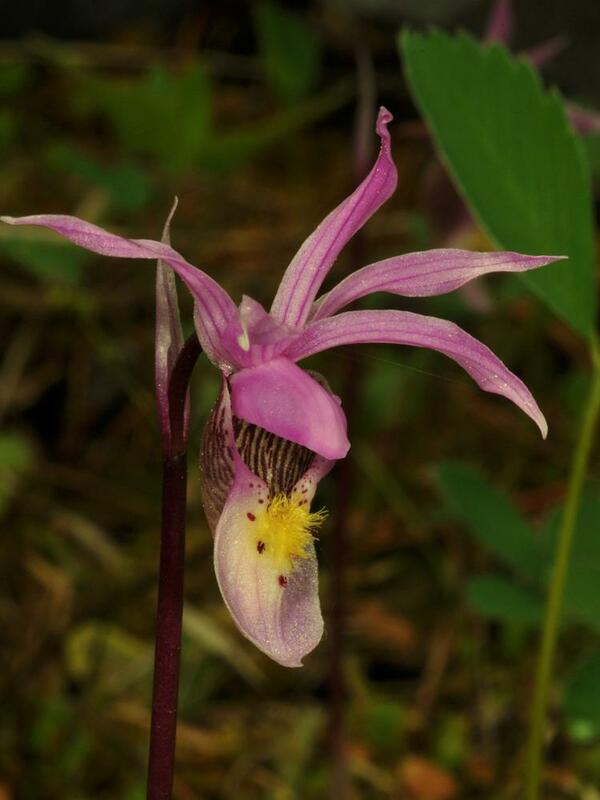 Ethnobotanical uses for Calypso orchids include food and medicinal uses - the Haida people ate the corms, which reportedly have a rich, butter-like flavor, occasionally. Interior Salish peoples of the British Columbia region utilized Calypso orchids as a treatment for convulsions or mild epilepsy.